La Mémoire Vive: Berthillon: Ice Cream Anyone? Berthillon uses only natural base ingredients - milk, sugar, cream and eggs; flavors come from fresh sources like berries, cacao and vanilla bean. So far, I've tried the fraise des bois (wild strawberry - seasonal), chocolat and agenaise. The scoops may be small, but the intensity of the flavors make up for any lack in size. They really are heavenly. 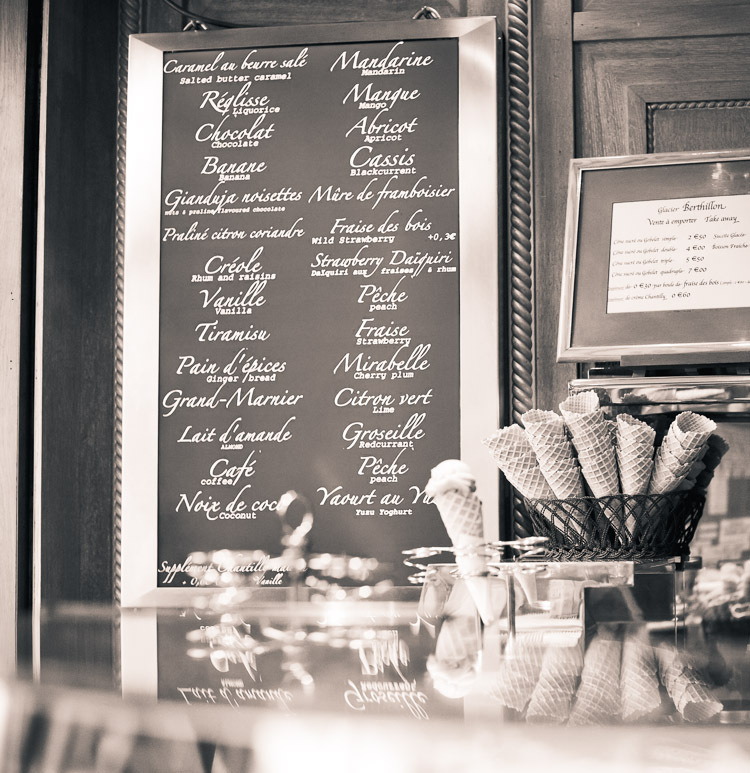 Although there's lots of competition around the city, most consider family-owned and operated Berthillon the best ice cream around. 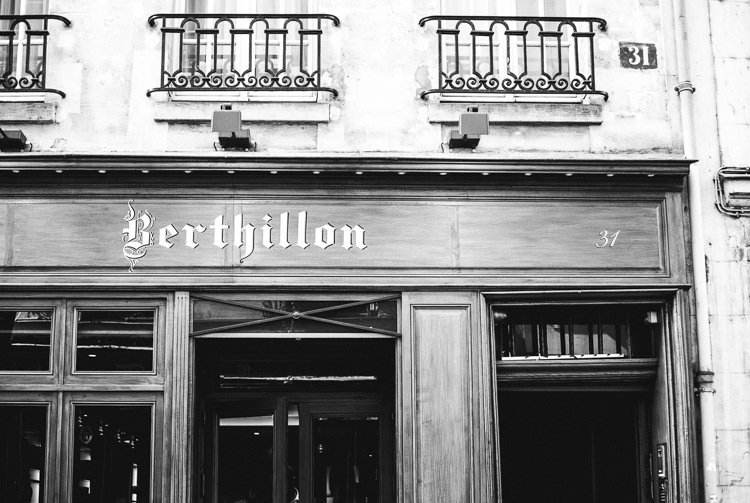 If you can't get to the little island shop, fortunately the ice cream is widely available around Paris; just look for the famous Berthillon signage. your photos always inspire me. I see that your son and I eat ice-cream in the same (messy) way. It is the right of the young and the old to enjoy themselves totally! Your photos always give such a sense of place and make me feel nostalgic. Keep enjoying life, Catherine. Oh my -- such lovely photos!! Mouthwatering! Wonderful images ...and the opening time is so very Paris! Closed during the summer! If only the pictures tell the story - your images captured the entire experience, only wish I could actually sample some of the amazing ice cream - it looks exceptional! Lovely shots. Berthillon is the best ice cream I've ever had. Your photography is stunning and your ice cream is delicious:)! My favourites are the first and fourth. Oh, I feel so tempted although our winter weather has already set in. wow, 60 years. well done on them. I went there twice. great ice cream. you made some wonderful photos of the place! oh my goodness, i have finally seen the joys of pistachio ice cream thanks to berthillon (though i didn't see it listed there). I have not been to Berthillon - the one on the island - in ages and your delicious words, tempting post and sweet pictures are a good reminder of what a perfect ice cream treat is! Wow that looks good!! Boom, Bobbi and Gary. 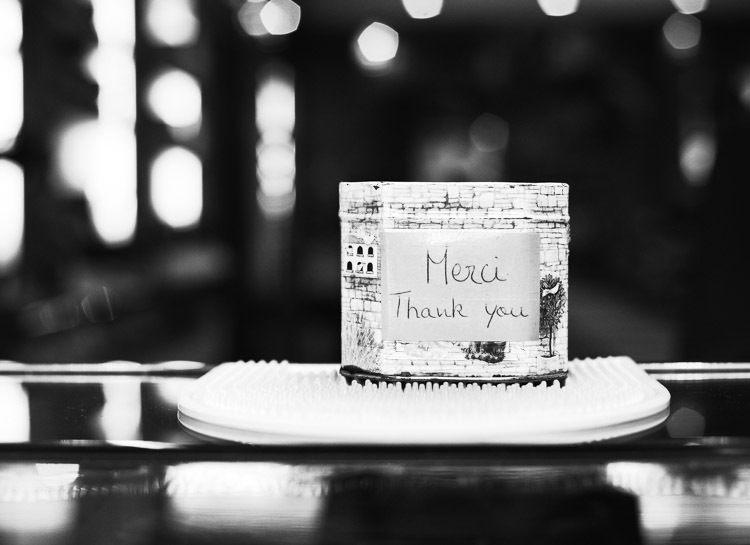 I love your imagery - especially the B&W. 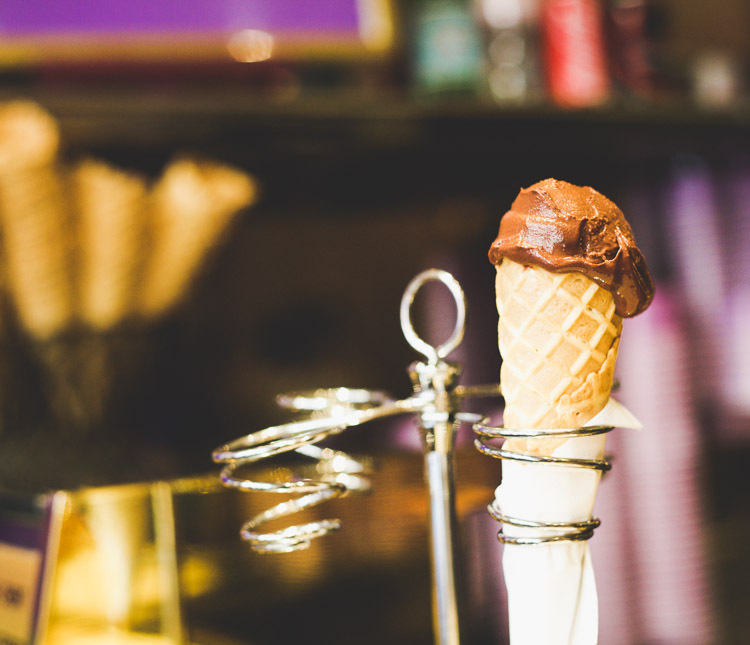 And especially the first image with the cones laying down, and the one showing the cones in the basket with the list of icecream flavors as the backdrop. Superb. 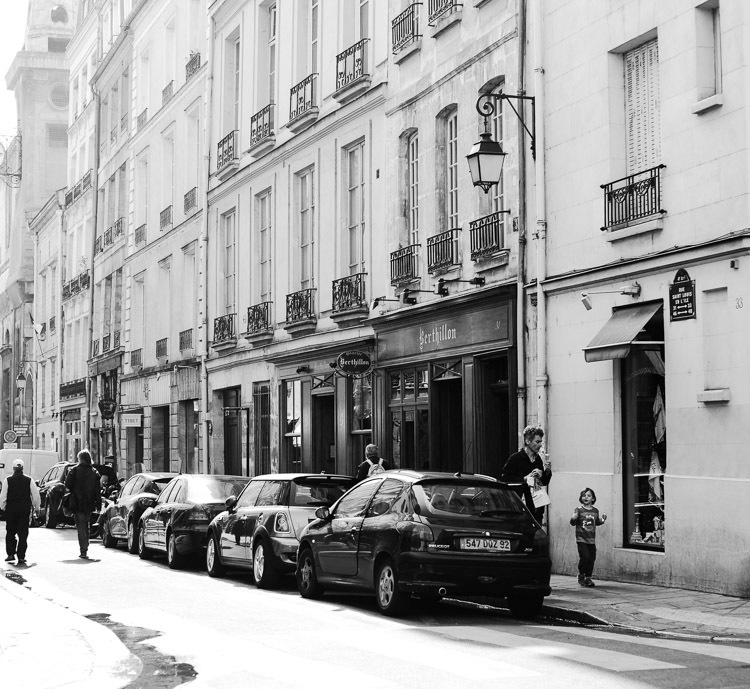 I am enjoying strolling through Paris through your images. I have only been to Paris once - and LOVED it. I hope to visit again one day. Oh how fun! I may have studied the menu sign a wee bit too long! I was choosing! I love how special everything seems there. Love that the cones are small. That makes it really a treat! That looks amazing. I recall the European countries I've visited having great gelato shops. This sounds like a must visit next time. You captured it so artfully! We so enjoy ice cream whenever we travel as it is too dangerous to have it in the house (we would eat too much). Our preference is to find places such as this one. It's not always easy, but well worth the effort as you have clearly shown, Catherine. The photo of the boy covered in ice cream... priceless and so innocent. 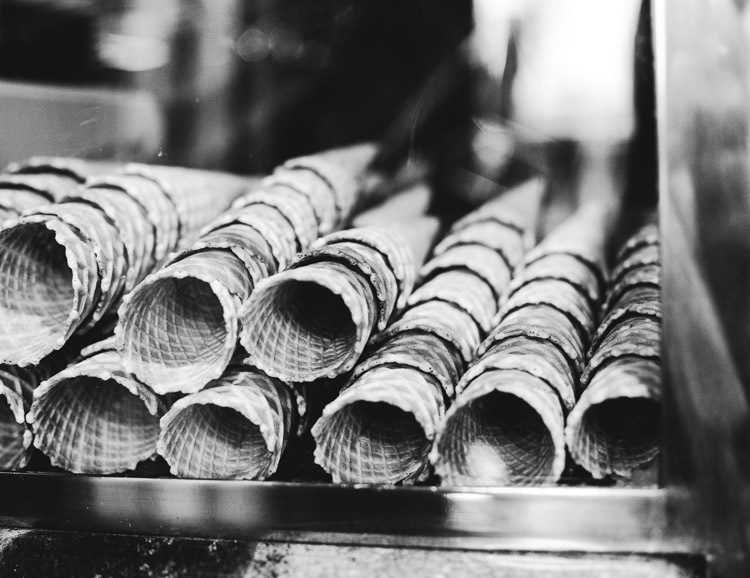 I'm not the biggest fan of ice cream, believe it or not...but your photos are stunning and make me want to run right out and get one of the cones filled with some deliciousness...right now! Take me back!! 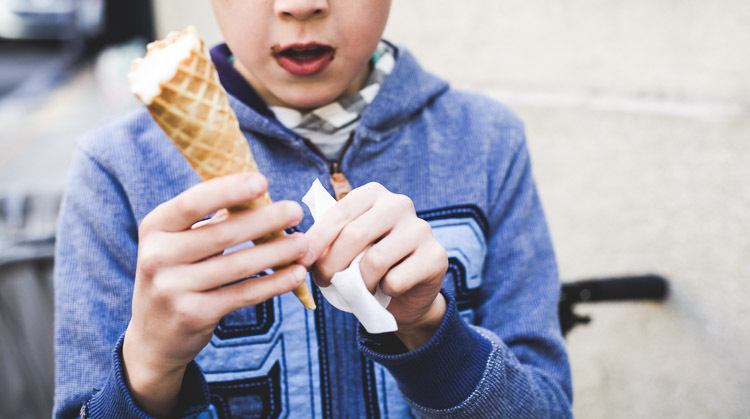 Oh my - your blog could become an addiction worse than that ice cream! !